Some offices can be boring and stifling, but definitely not Candor’s campus in Kolkata’s New Town-Rajarhat area. Learn about what all the campus is doing to keep the employees of its occupiers happy and inspire them to be more energetic and creative at work. For today’s professionals, workplace culture and technology are increasingly important when considering career opportunities. The need of the hour is to create the happiest, most productive workplaces that enhance creativity and facilitate idea exchange among employees, while allowing them to have fun at work. The campus of Candor TechSpace in Kolkata’s New Town-Rajarhat area addresses this need really well. The campus is located in New Town-Rajarhat, a suburb in Kolkata. The campus is a 20-minute drive from the airport, but what makes it really very accessible is the fact that gates 1 and 2 are located on the 48-metre wide major arterial roads called MAR (EW) and MAR (NS). State and private bus transport facilities are within reach too, and passengers can board a bus from gates 1 and 2 to travel across Kolkata and to Howrah as well as the North and South 24 Parganas districts. The campus is located at a distance of 1 km from the upcoming Narkel Bagan Metro Station. Residential Complexes are a 5 to 10-minute drive away. The campus enjoys proximity to hospitals and 5-star hotels. Additionally, it is located near New Town Police Station, which ensures less turnaround time (TAT) in critical situations. The campus is housed within a total land area of 45.40 acres, of which 32 acres is operational. There is scope for future development of 1.6 million square feet. Presently, the space comprises 10 operational towers with 80 operational floors spread over an area of 2.52 million square feet, a vast landscaped area, water bodies, a dedicated amenity block and huge parking space. Two towers with a total area of 0.54 million square feet and seven and nine floors respectively are under construction. The major occupiers of this campus include IT/ITES organisations such as Cognizant, Tata Consultancy Services, Genpact, Accenture, Capgemini, HCL Technologies, Concentrix, Tata Interactive Systems (now MPS Interactive Systems), MET Technologies, US Tech Solutions (Simplify Workforce) and ADA Software. New entrants into the campus are GoodWorkLabs and Medfin India, a Cognizant company (subject to Unit Approval Committee’s approval). 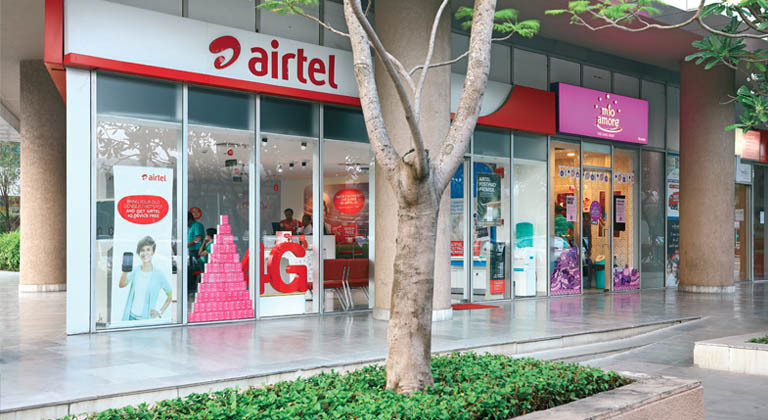 These apart, the campus is occupied by well-known banks, retail stores and F&B outlets. There is adequate space for parking of vehicles within the curtilage of the campus. 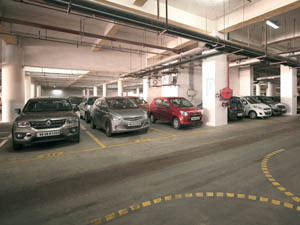 The huge parking space presently has a provision for 3,252 vehicles, with the basement offering parking for 2,486 vehicles and an additional parking provision of 766 vehicles. Be it the sweltering days of summer or the cool days and nights of winter, this campus is well-equipped to deal with the environmental challenges that every new season brings. The contemporary glass office buildings here have a facade made of imported Belgium glass that reduces heat transfer to 20 to 30 per cent. Lift lobbies are air-conditioned and dedicated ventilation shafts are available throughout the campus. An automated CO2 sensor-operated, indoor air quality management system has been made available for tenant areas. 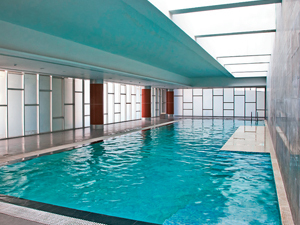 The basement is not only equipped with fresh air and exhaust fans but is also integrated with the fire system. At the core of the sustainable office and workplace design of this campus is the goal of becoming more energy efficient. The company has implemented far-reaching energy efficiency initiatives in the premises. For instance, there is a dedicated time schedule for lights to turn on and off automatically based on climatic condition. Chillers and pumps too are operated as per climatic conditions. All top-floor ceilings are covered with under-deck insulation to reduce the heat inflow. Energy efficient pumps and an effective building management system have been installed while the installation of solar panels is underway. All equipment systems are covered under a planned preventive maintenance (PPM) schedule and managed by advanced software. Since utilising natural light leads to big energy savings, the campus uses natural light wherever possible. Light fixtures are being replaced with LED lights. As per news reports, New Town has been listed as one of the top townships under the West Bengal government’s Green Cities mission scheme and recognised as a solar city too. Candor’s campus in New Town-Rajarhat has also worked towards actively spreading the green message by ensuring a sustainable environment in its premises. Apart from putting into place rainwater harvesting and waste water recycling systems, the company has built a lush green central lawn, a walkway through trees, water bodies equipped with light fountains, a fish pond, a bird sanctuary, a greenhouse nursery and a dog-feeding zone. 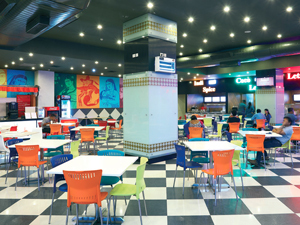 Within the campus there are plenty of places to eat and drink on any budget, one of the most popular options being Flavours – The Food Court and live counter of Chai Break that is open till midnight. Here, employees can sit down to feast on delicious fare from F&B outlets such as Indi Spice (North Indian), Papa Pesto (Continental), Coco Leaf (South Indian), Let’s Wok (Chinese) and Cafe Baker’s Delight (baked foods). They can also grab something to eat or drink at any of the two Café Coffee Day outlets (one of which is also a lounge) or The Yellow Straw (operational 24 hours through Monday-Friday). To develop a positive workplace atmosphere, this campus has a variety of facilities for recreation. These include a health & fitness centre, swimming pool, garden with seating, gymnasium and selfie garden. Employees can also indulge in a variety of outdoor games and sports. A banquet facility is available and a smoking zone will soon be operational. Whether employees want to get active, enjoy some quiet time or just have conversation with colleagues, these facilities have something to offer them all. To make the lives of employees easier, the campus has banks, ATMs, and convenience and telecommunication stores within its premises. Shuttl, a bus aggregator, provides an air-conditioned bus service that connects the campus to other parts of the city. To make it easy for working parents to balance their jobs and their families, the campus has an on-site crèche for children of employees. For companies that require smart, creative and in-demand workers, Candor’s multi-tower campus offers a competitive edge when trying to attract young and intelligent employees. 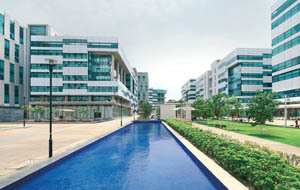 Other benefits for occupiers include options of scalability and of availing SEZ benefits, level of transparency in transactions, multiple audit systems, better traffic and parking management, quality maintenance, single landlord dealing (no hassle of strata sales) and the brand name of ‘Candor’ from the house of Brookfield Properties. The campus offers a flexible operating model starting from 12 x 6 hours to 24 x 7 hours. This enables occupiers to cater to clients from any part of the globe at any hour. 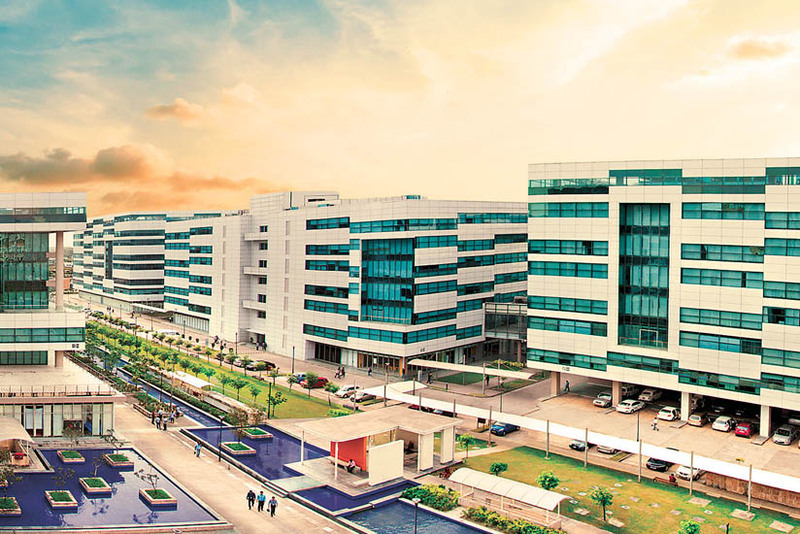 The campus of Candor TechSpace in Kolkata has won several awards. These include recognition from NASSCOM for supporting various initiatives such as NASSCOM Product Conclave and Thrive 30, and from Don Bosco India for participation in their girl child awareness programme. What’s more, Capgemini employees from the campus participated in their company’s initiative called ‘ROAR – The Fit India Movement’ by performing fitness routines through an instructive video, thus setting a Guinness World Record. The campus has also earned certification from International Organization for Standardization (ISO) and a 2-star certificate from Bureau of Energy Efficiency.